NovaLastic Banner Tape is an economy clear double-sided synthetic rubber adhesive tape on an oversized paper liner, especially suited to irregular or porous surfaces. 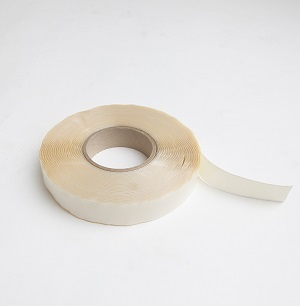 Affectionately known as ‘Snot Tape’, it exhibits excellent holding power and is positionable, whilst retaining the ability to be removed easily with minimal or no surface damage or residual adhesive left behind. For the optimum bond, surfaces should be clean, dry and free from dust and loose particles. For best results use NovaBond Surface Cleaner. On porous surfaces use a primer to seal the surface before you apply the tape. The tape is pressure sensitive and best results are achieved by ensuring maximum surface contact under pressure. Using a NovaBond roller will allow the high shear bonding tape to wet out and reach ultimate bond strength more quickly.